Portions of the Southwest Area between Avery Road and Emerald Parkway encompass approximately 184 acres that can be best characterized as a zone of transition awaiting local road improvements. 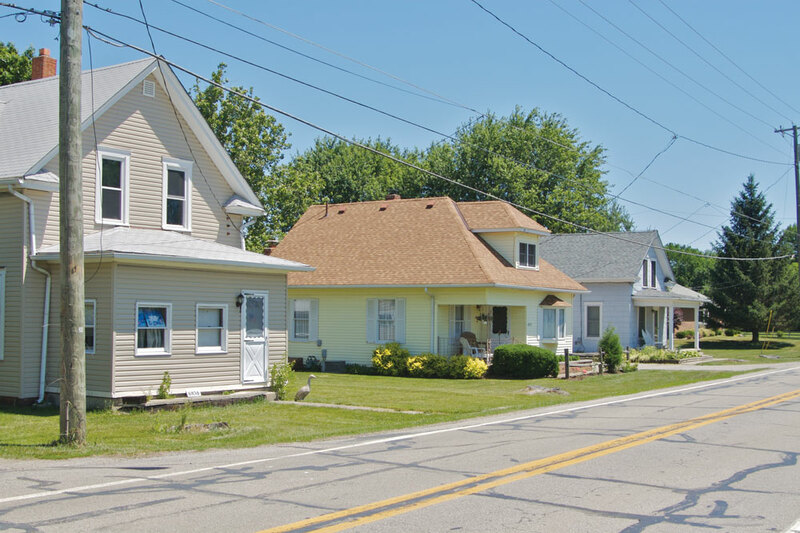 Single-family and multi-family residences are located to the north, and residential and commercial development within the City of Columbus is located to the east. Old Dublin Woods is located to the south along the Hayden Run Corridor and will be impacted by future adjacent development outside Dublin. Access to the area is provided via the Tuttle Crossing/I-270 interchange, and the corridor includes commercial uses, hotels and existing residences. Commercial zoning has been in place for many parcels along Tuttle Crossing, but development has lagged awaiting the widening of Tuttle Crossing from Emerald Parkway to Wilcox Road (completed in 2009) and its westward extension to Avery Road. Providing regional interstate access, Tuttle Crossing will be a major arterial, and the need to plan for future impacts is important in establishing proper land use and access management. Integration of local services and coordination with surrounding residential areas will also be an ingredient for future planning success in the corridor. This area of southwest Dublin contains several environmental and character features that should be preserved and taken into account with development. Stream Corridor Protection Zone requirements and appropriate buffering will limit potential areas for development within the corridor, and the use of existing natural buffers and tree cover should be integrated as amenities within development. Major stands of trees at the corner of Hirth Road should be preserved to their greatest potential by integrating them into neighborhood open spaces as residential development occurs on adjacent land. Existing hedgerows should be maintained as ready-made screening and buffering for new development. Development within Dublin’s service area should be coordinated to minimize impacts on Old Dublin Woods and other existing residential development. Land uses should be provided that carefully transition and provide a sense of integration with clearly defined open space and pedestrian connections and opportunities. Internal road development should also be sensitively designed to limit impacts to existing neighborhoods. Development within this portion of Dublin’s service area should emphasize the provision of local retail and conveniences in close proximity. The integration of a neighborhood center can provide significant benefits to residential neighborhoods north of the Tuttle Crossing Boulevard Corridor. Pedestrian connectivity should be maximized to limit reliance on auto trips onto what will become very heavily traveled corridors on Tuttle Crossing Boulevard and Emerald Parkway. Commercial services can be provided in a walkable distance to multi-family development south in Columbus, and neighborhood retail should be targeted to limit the creep of large-format retail from the I-270 interchange and Tuttle Mall area. Design options for the extension of Tuttle Crossing Boulevard from Wilcox Road to Avery Road are currently being analyzed by the City, and include a potential roundabout at the Tuttle/Wilcox intersection. A roundabout at this intersection should be framed by architecture to signify a sense of arrival to a commercial hub with more pedestrian activity. …To achieve the comprehensive implementation of a mixed use neighborhood center along Tuttle Crossing Boulevard that will provide appropriate pedestrian connectivity and local services within the context of future road improvements. Rings Road connects Avery and Cosgray Roads through this portion of the Southwest Area, which consists of approximately 520 acres. The area is generally flat and includes few notable natural features; however, a significant woodland totaling more than 50 acres in size is centrally located and provides opportunity as a focal point for open space and recreational objectives. The Ballantrae residential development is located to the north and began construction in 2000 as a joint public-private partnership to raise the overall quality of development in the Southwest Area. Existing uses along Rings Road include a small number of remaining single-family homes, a church and a manufactured home park. Most of the area remains as agriculture, awaiting the future extension of Tuttle Crossing Boulevard. The Southwest Area lies largely within the Hilliard School District and includes the first Hilliard school facility in Dublin at the northwest corner of Rings Road and Eiterman Road. Construction of the National Church Residences – Avondale development began in 2011 at the southernmost gateway to Dublin along Avery Road. 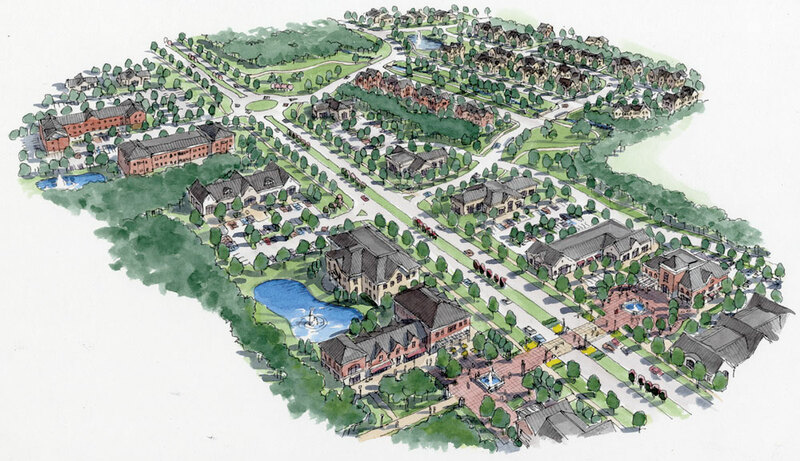 This new senior living community will provide a range of residential options and services, including independent living, assisted living and continuing care, and will expand housing choices for retirees in Dublin. The construction of the first phase of Avondale Woods Boulevard will also provide access to additional mixed residential development planned to the west of the senior community. New housing in this area should be designed to blend sensitively with the scale and architecture of the National Church Residences and to create an integrated neighborhood with residents in various stages of life. Transportation and development pressure define this portion of the Southwest Area. To the south lies rapidly developing land within the City of Columbus annexation corridor that will result in higher densities and significant impacts to the road network. Future modeling indicates substantial traffic levels at I-270 and on Tuttle Crossing Boulevard to Avery Road. The extension of Tuttle Crossing Boulevard through this area facilitates future connectivity to Cosgray Road, which will provide direct interchange access for significant portions of residential development along the Hayden Run Corridor. 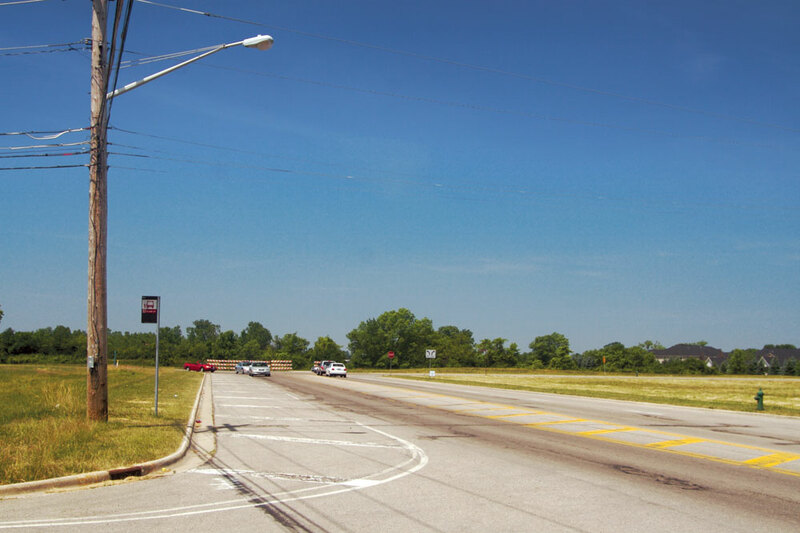 Retail development pressure along Avery Road in the City of Columbus will create additional traffic issues and access challenges. The City of Dublin should continue to engage Columbus to ensure the impacts of new development on the regional transportation network are effectively managed. This portion of the Southwest Area includes significant challenges to blend future land uses. Alignment options for the Tuttle Crossing Boulevard Extension have widely varied impacts on residual land and the ability to adequately transition uses. 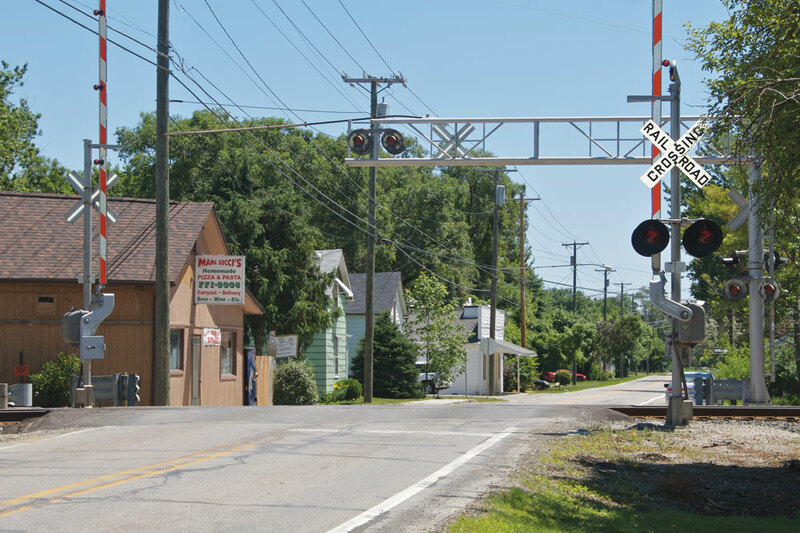 Future physical impacts created by the planned Hayden Run Boulevard railroad overpass in the City of Columbus, as well as the physical constraints of the CSX railroad, further complicate potential land use options. Combined with access management needs along Tuttle Crossing Boulevard and Avery Road and a desire to properly transition uses with existing residential areas, substantial care must be taken to properly manage area development and minimize traffic impacts to residential areas. While this area of the City is characterized by farmsteads and cultivated land, natural features are critical visual components for the area. As development occurs, all fencerows and woodlots should be integrated into the design of open space systems. Public space should be incorporated to act as a buffer for residents and clear connectivity should be provided throughout the area and into adjacent jurisdictions for maximum pedestrian and recreational benefit. The existing rural roadway network will not be sufficient to meet future needs of the area. In planning for the future, regional and local connectivity must be provided that maintains Dublin’s standards for quality, but also consider visual character. Variable medians, setbacks, landscape treatments and other techniques should be implemented where possible to maximize aesthetic benefit. The Village of Amlin has a unique and quaint character that should be protected as adjacent development occurs. Future residential development in the area should provide adequate separation with open space to visually define a clear transition between traditional neighborhood design and the surrounding area. Construction of the Rings Road bypass will also facilitate an opportunity to create clear gateway features that will further signify the special importance of the village area. …To facilitate the planned extension/alignment of Tuttle Crossing Boulevard in a manner that will provide regional greenway connectivity and pedestrian access within the context of a broader range of housing options that coordinates with existing residential neighborhoods. This portion of the Southwest Area consists of over 720 acres, primarily of recently annexed and undeveloped land west of the Village of Amlin. Darree Fields is located to the north, and to the south and west lies undeveloped land in unincorporated Washington Township (Columbus exclusive service area) and currently developing land within the City of Columbus. A number of single-family homes are located within the township along Cosgray and Houchard Roads and face the greatest potential impact from future development and expected road improvements. 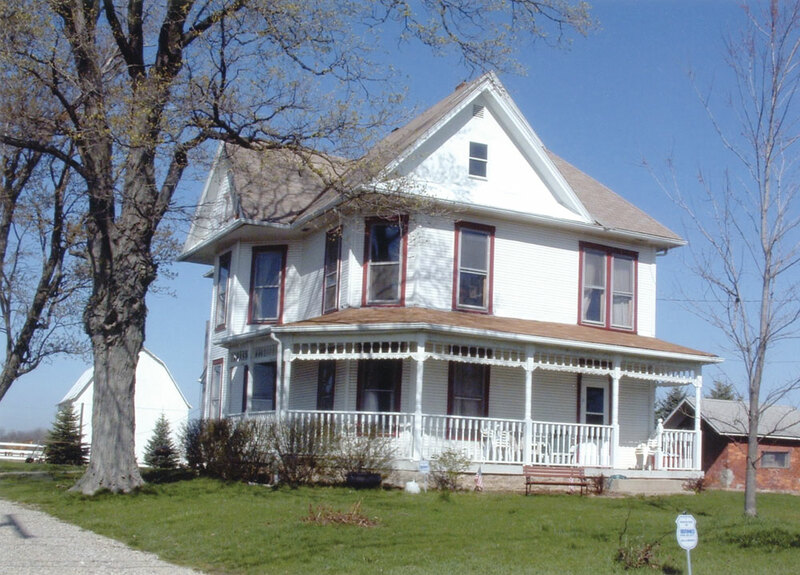 The area includes two historic farmsteads: one at the corner of Rings Road and Houchard Road and the second west of Amlin on Rings Road. A significant portion of the land in the southwest corner of the study area includes the Hayden Run corridor, which flows from its headwaters near Dublin’s extreme southwest border east to Hayden Run Falls at the confluence with the Scioto River. A high-tension power line bisects the area, and the Heritage Trail Metro Park is located to the southwest. This area will be impacted by the future extension of Tuttle Crossing Boulevard and its connection to Houchard Road, opening the area for development. The Hayden Run Corridor and its associated floodplain significantly impacts road alignments and limits development options. The area is also located at the fringe of sewersheds, and capacities should be evaluated in conjunction with development. 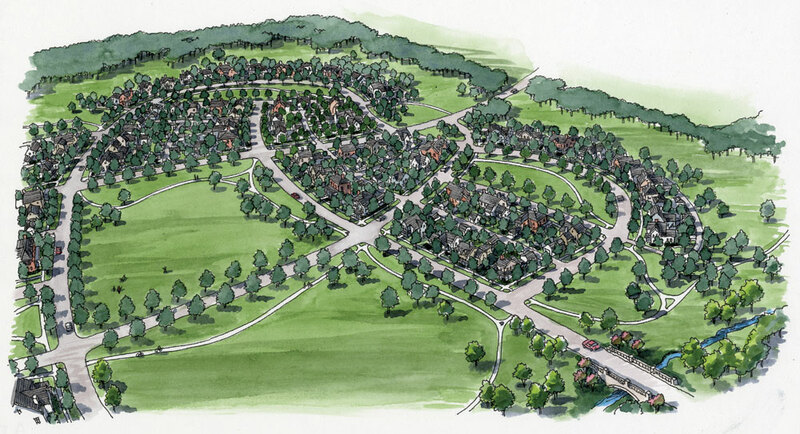 Residential development in the area should be designed to conserve open space and natural features such as existing woodlots and fencerows, and regional transportation connectivity is extremely important. This area contains the farthest southwest portion of the City and the overall design of the area is key to establishing a distinctive identity. Consolidation of parcels and a comprehensive development plan will have the most flexibility and benefit in the area and should be expected to appropriately achieve desired goals. Future development in the area should also minimize impacts on existing and future residents, as well as provide adequate roadway and pedestrian connections to the high quality standards of Dublin. This area will include several large roadways in the future, and its location should be sensitive to natural features and property owners and also maximize land use viability. Within the context of development, pedestrian and greenway system connectivity should be emphasized and lower density development should be coordinated with other jurisdictions to the west. This area contains several natural features including woodlots, fencerows and the headwaters of the Hayden Run. Protecting the headwaters and riparian corridor with appropriate buffering and low impact land uses that manage runoff is important for the overall quality of the stream corridor. This requires a balance between the environment and development to adequately protect features that will serve as an important amenity to future residents. As the area converts from agriculture in the future, impacts to existing residents and the general character of the area should be minimized. The future alignment of Tuttle Crossing Boulevard should be sensitively planned to minimize negative impacts on existing residences, the Village of Amlin and existing roads such as Rings Road, Cosgray Road, and Houchard Road. The constraints created by new roadways, the existing railroad and large transmission tower easements must be considered when planning future development to limit the creation of residual parcels. …To provide for regional transportation, greenway and pedestrian connectivity in a manner that balances the protection and enhancement of the Hayden Run Corridor with future development potential.